In August, the Ohio Department of Natural Resources purchased a 60,000-acre parcel owned by American Electric Power called ReCreation Land. Jesse Owens State Park, once completely open, will span parts of Guernsey, Morgan, Muskingum and Noble counties in eastern Ohio and be one of the largest in the state. Ohio Gov. 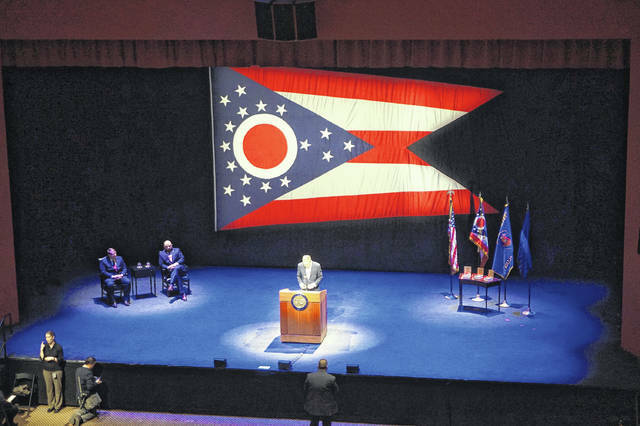 John Kasich’s final State of the State address, given Tuesday in his hometown of Westerville at Otterbein University, turned out to be more philosophical than political. And while the term-limited Republican did give the obligatory “Ohio is back and stronger than ever” statement, the address looked inward, as well as backward and forward. Just as Kasich was the first to live in his home rather than the governor’s mansion and the first to move the State of the State outside of Columbus (since 2012, he has spoke in Steubenville, Sandusky, Lima, Medina, Wilmington and Marietta), this speech also defied convention. Kasich began with a shout-out to Westerville, saying he remembered when the city had more gravel than paved roads. 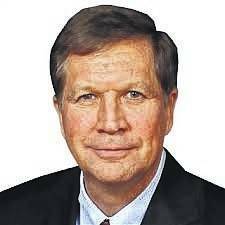 The longtime Westerville resident began his gubernatorial campaign at Otterbein in 2009. From respect follows love, compassion, humility, forgiveness, responsibility and justice. He said those ideas have guided his policies in the state, pointing to lower numbers of people who are uninsured, a decrease in addictive prescriptions being written, dealing with rural poverty, mainstreaming people with developmental disabilities, reforming prisons and schools, fighting human trafficking and creating jobs. “I believe because of practicing these values, we’re stronger than we have been in a generation,” Kasich said. Kasich gave out his final Governor’s Courage Awards to three Ohioans, and he hoped the tradition would continue. He donned medals on Nina Schubert, a 19-year-old Kent State Student who created the Nightingale Project to end mental illness stigmas; Mikah Frye, a 10-year-old from Ashland who bought blankets for the homeless on Christmas; and Chris Hole, a hospice nurse from Miamisburg who helped save lives during the mass shooting in Las Vegas. He urged the public to little things, small acts of kindness — visit the sad and lonely, mentor somebody. The address closed on a personal note. Kasich recalled first working at the statehouse, trying to look through the glass window of the governor’s office because “it was another world and I wanted to understand it.” The last time he looked, he saw his name was on the door. The City of Westerville was adorned with banners to welcome Kasich and the 1,300 attendees who filled the Fritsche Theatre. The event was framed as a joint session of the 132nd General Assembly, with a quorum of the state House and Senate present. After a short film featuring Kasich and introductory comments by Cliff Rosenberger (House of Representatives) and Larry Obhof (Senate), the Westerville Division of Police Honor Guard gave a presentation of colors and Westerville Police Chaplain James Meacham gave the benediction. Following Kasich’s address and after most of the attendees had left, there were comments given by majority and minority members of the legislature.